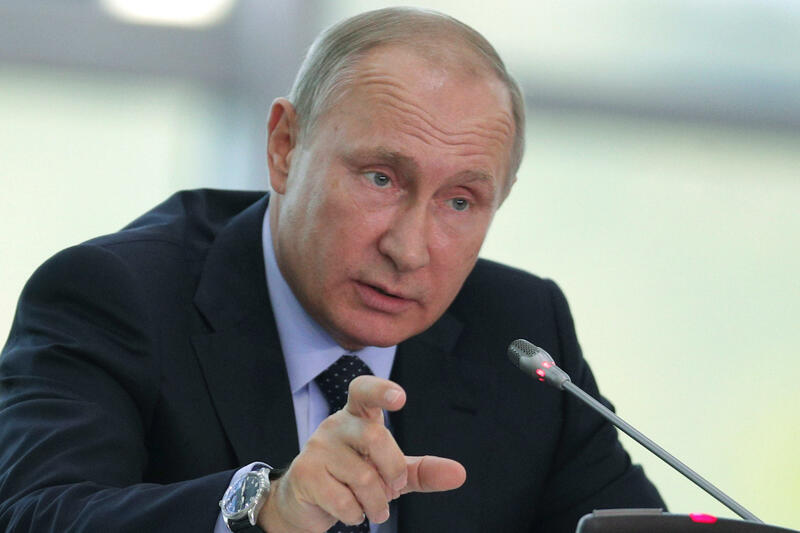 Russian President Vladimir Putin, infuriated with the sanctions of the Magnitsky Act, retaliated by imposing a ban on Russian adoptions. "Whenever anybody on the Russian side says adoption ban, that's really code for the Magnitsky Act," said Seva Gunitsky, a Russian specialist at the University of Toronto. In the 2012 act, Congress punished Russians involved in the killing of a Moscow tax lawyer named Sergei Magnitsky. He had uncovered a massive tax fraud scheme involving Russian officials. The law freezes the assets and bans visas for certain Russians. Russian President Vladimir Putin was infuriated with the sanctions and he retaliated by imposing a ban on Russian adoptions, Gunitsky says. At the same time, powerful Russians launched a massive campaign to overturn the Magnitsky Act, using lobbyists like those linked to the Delaware-based adoption foundation. They include Natalia Veselnitskaya and Rinat Akhmetshin, two advocates who met last year with Donald Trump Jr. during the middle of the presidential campaign. Trump Jr. is expected to talk with the Senate Judiciary Committee this month about that meeting, which also included his brother-in-law and now-senior White House adviser Jared Kushner and the Trump campaign's chairman at the time, Paul Manafort. Members of Congress are expected to ask about what went on in the meeting and what Trump Jr. and the other Trump campaign officials knew about the group of Russians who came to visit them. One American who has a track record of tangling with Veselnitskaya and Akhmetshin is financier William Browder, who ran a hedge fund company in Russia that was a victim of the tax fraud scheme. Magnitsky was an auditor who worked for Browder; when Magnitsky uncovered the scheme, he was thrown into jail and eventually died in custody. Browder told Congress the lobbying effort to repeal the act was a "highly resourced" operation overseen by Veselnitskaya and paid for by the Katsyv family of Russia. Pyotr Katsyv is a senior Russian official with close ties to the Kremlin. His son, Denis, is a businessman whose company was sanctioned under the Magnitsky Act. The younger Katsyv's name is one of a number of Russian advocates that turns up on lobbying reports for the adoption foundation incorporated in Delaware. Official disclosure documents associated with the work paint a picture of people with a foot in several worlds: advocating on behalf of powerful Russians, available to be assigned from Moscow — as arranged last June — but not technically employees of the Russian government. "The people who met Donald Trump Jr. are close to the Russian power structures," said Louise Shelley, an expert in Russian organized crime and corruption at George Mason University. They are part of a network of people working to advance Putin's interests one way or another. "Either they're part of the legal apparatus that helps him, the political apparatus that helps him, or are engaged in negative public relations campaigns — which are also a very important technique of the Kremlin to go after its enemies," she said. Shelly says the Kremlin still believes ending the Magnitsky sanctions is a priority. And advocates such as Katsyv, Veselnitskaya and Akhmetshin are integral to that. None are registered as a foreign agent. But that hasn't stopped them from pushing to overturn the act.